Nominations for the David di Donatello Awards (also known as the ‘Italian Oscars’) have just been released for 2018. 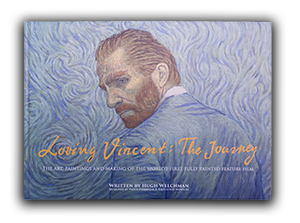 After 1289 members of the Jury of the Academy voted throughout January, Loving Vincent was nominated for Best European Film, alongside Borg McEnroe, Elle and The Square. Named after Donatello’s David, the film award has been presented each year since 1955 for cinematic performances and production by The Academy of Italian Cinema. Last year the award for Best European Union film went to Laszlo’s Nemes’ The Son of Saul. We hope that the ceremony on 21st March will bring the good news that Loving Vincent is the next winner to claim this prestigious award. As a UK-Polish co-production, Loving Vincent has proved popular with European audiences already. 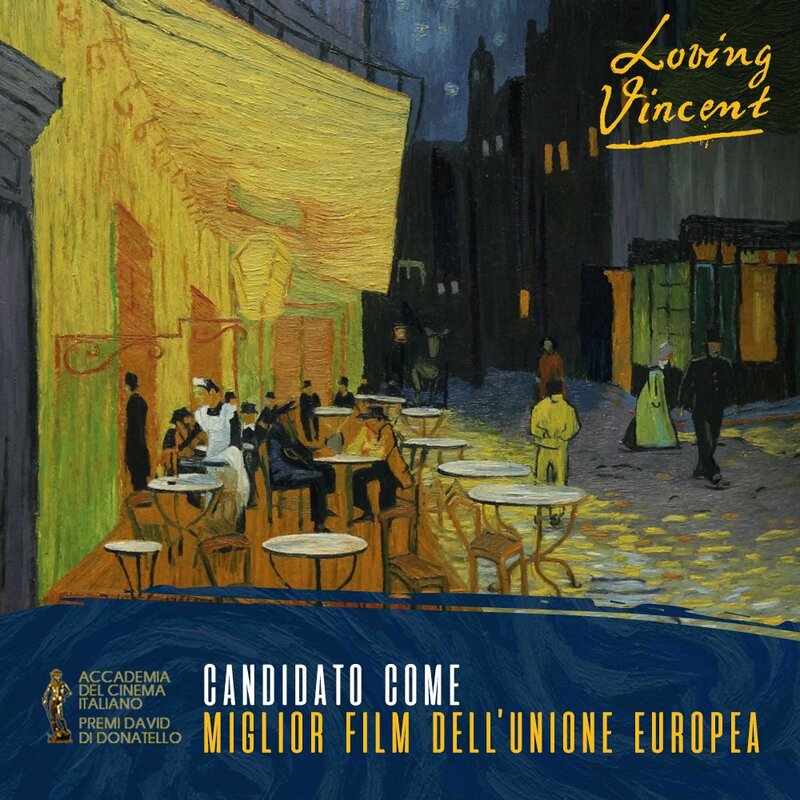 At the end of 2017 the European Film Academy bestowed the European Animated Feature Film Award to Loving Vincent. This weekend we also eagerly anticipate the BAFTAs, for which Loving Vincent has been nominated for Best Animated Feature. Italian fans can find the film on DVD and iTunes now.